As dispute about the contents of the Russian exhibition at the Auschwitz Museum in Poland continues, the doors of the display remain closed. The nationalities of the victims of Nazi concentration camps are in question. Block 14 of the Auschwitz-Birkenau Memorial and Museum in Oswiecim, Poland was opened in 1961 as a Soviet tribute to the victims of the Nazi concentration camp. The exhibition has been closed for over three years now, and its doors remain closed as disagreement over the nationalities of the victims becomes an increasingly political issue. 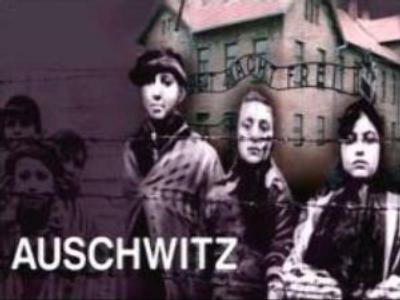 It was in 1945 that Soviet troops liberated Auschwitz and were the first to expose the truth of the Nazi death camp to the world. But today the museum operates without recognizing Russian efforts in the Second World War, and the role of the Soviet Army in the liberation of the camp is almost never spoken of. Tourists don't know why the exhibition is closed. The museum's administration says the complex does not agree with the Russian interpretation of history that is portrayed in the display. Curators claim that the occupation of Poland, which occurred following the 1939 Nazi-Soviet Pact, is not reflected in the Russian exhibit. “On geographical maps in the exposition, borders are incorrectly shown. As a result of the Molotov-Ribbentrop Pact, the Soviet Union occupied Western Ukraine and Belarus. But these, in fact, were Polish territories. Polish citizens, living in the occupied land by the Soviet Union in 1939, became Soviet citizens. If we are to talk about the victims of Nazism, it is necessary to take into account that they were Polish,” says Jarek Mezelt, press attache of the museum complex Auschwitz-Birkenau. The only Russian to have seen what is behind the doors at Block 14 lately is President Vladimir Putin, when he visited Auschwitz in January 2005 for the 60th anniversary of its liberation. Mr Putin was received by Aleksander Kwasniewski, who served as Polish President at that time. Kwasniewski recently spoke of the role of the Soviet Union in the liberation of Poland. “It would be bad if any signals came from Poland that imply we do not value Russia's sacrifice in World War Two and that we have forgotten about the Russian prisoners of war. When it comes to questions of this nature, we must look into them well and avoid excessive exploitation of them,” said Mr Kwasniewski. In order to open its doors, the exhibition will have to be modified. Russian organizers have suggested an additional stand to tell about the Nazi-Soviet Pact and explain why the Soviet Union annexed Western Ukraine and Western Belarus. In Moscow, the Foreign Ministry and Russian Jewish Congress are among a growing number of organizations that are hoping the political nature of the restrictions on the Russian exhibition can be set aside and victims be respected. The situation at the museum will most likely become a topic of Russian-Polish negotiations soon. Museum workers at Auschwitz say they do not doubt that work on a Russian exhibition will take place, but say it is all a question of time.